In 2016 we managed the Opening Night Gala, Centrepiece Gala and Closing Night Gala for the notorious Melbourne International Film Festival. For Opening Night at Hamer Hall, the sponsor was Grey Goose Vodka. Evidently, Grey Goose had their logo on the media wall but our team managed to integrate their branding into a few different elements of the night, including the red carpet which, for the occasion, became blue! 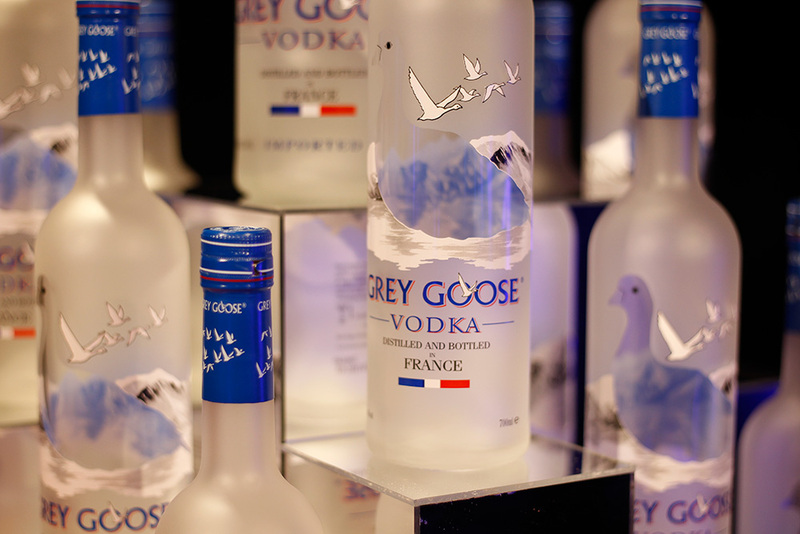 Yes we did – we ordered ‘blue carpet’ to reflect Grey Goose’s brand colours and it looked fantastic! Melbourne International Film Festival’s Opening Night Gala also included a special cocktail using Grey Goose vodka and some very slick Grey Goose branded cocktail stirrers. These were prepared and served in a very cleverly branded Grey Goose bar (blue lights, logo decals, branded aprons and a fabulous archway in the entry emitting blue lights for guests to walk in). For the Guide Dogs Victoria’s annual Dogs Unite event, we created hero capes for the dogs – because there isn’t anything much cuter than some puppies wearing capes! This also reflected the event’s message very clearly in celebrating the seeing eye dog’s hero status. 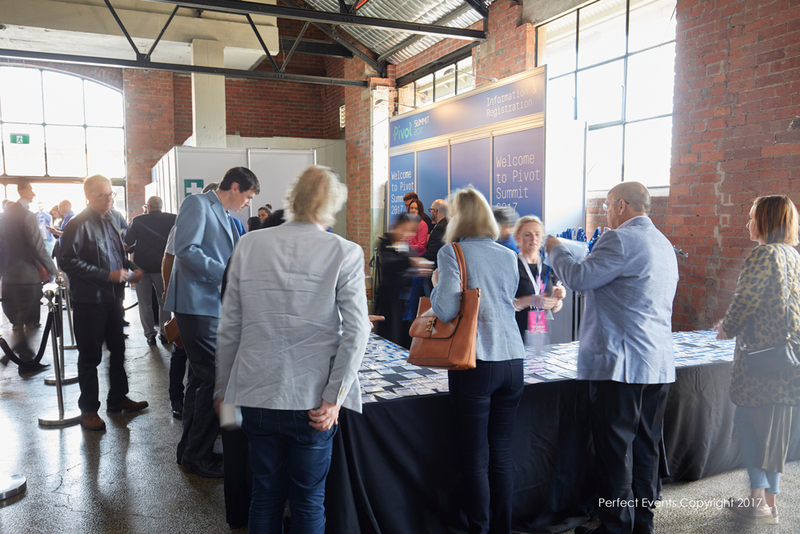 Perfect Events organised for some branded charging stations to be at the annual Pivot Summit conference & Pivot Connect in Geelong. There is no greater brand exposure than when the branded element becomes a necessity to the guests. Never underestimate the power of subtle decorative branding elements. Guests enjoy the event without focusing on the brand but are reminded of it at every corner. Think hanging structures, wall decals, brand colours in the lighting etc. For Landcare Australia in 2016, our client had requested the centrepieces for their awards dinner to be as sustainable as possible. Perfect Events created some beautiful centrepieces using fresh fruit and vegetables in recycled wooden crates. The fruit and vegetables were then donated to OzHarvest following the event. OzHarvest is a perishable food rescue organisation in Australia that collects excess food from commercial outlets and delivers it direct, to more than 900 charities. This meant that nothing was wasted and we were able to help people less fortunate by donating the beautiful fresh food! If you need help with finding sponsors and maximising their exposure at your event – contact our team of professionals today! It’s 2017 and the world of events, like many industries, is very different to what it once was. Once upon a time we would sit down with our clients and focus primarily on the objectives, whether that be fundraising, brand awareness, product launch or guest experience. Now, whilst these are still at the forefront of a client’s mind, one element that simply cannot be swept aside is safety. Sure, the topic of OH&S can be boring to some, and even appear a complete waste of resources to others – but we’re at a time where this one line in the budget, particularly for outdoor events, is here to stay. As an Event Manager, my knowledge around safety has increased out of necessity. Part of the “guest experience” is allowing them to freely enjoy the perks of the event that has been produced, without any concerns over what “could” happen. 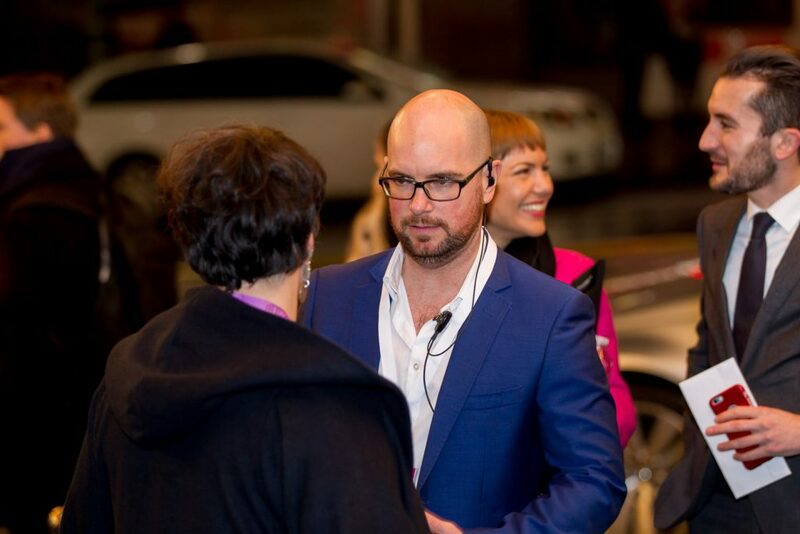 I have recently managed some outdoor events at high-profile public spaces in Melbourne’s CBD, attended by some extremely well-known figures, and with that comes increased responsibility and safety measures. It’s always amazing to have big names at your events, these are the stars that guests want to be close to, and media want their “money shots” of – there’s excitement and an amazing atmosphere when any high-profile figure mingles with the public. The safety/security implications, however, become escalated and it’s our job as Event Managers to ensure that sufficient resources and measures are in place so that the safety of guests, staff and talent are not compromised. What I’m saying is, and here’s the juggling act, it’s just as important not to lose sight of the event objectives – your client is paying you to help them achieve their goals. So, what is an Event Manager to do? Whilst it’s important to embrace event safety/logistics, it’s just as important to have great support, don’t wear too many hats as you’ll lose the plot – which could be deemed a “risk” ha!